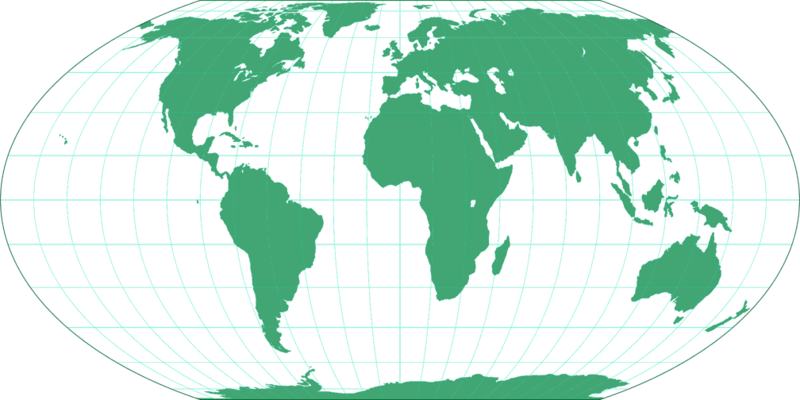 Wagner IV Map Projection Image, green silhouette map. 15° graticule. Wagner IV Map Projection Image by Tobias Jung is licensed under a Creative Commons Attribution-ShareAlike 4.0 International License. Political world map, projected to Wagner IV Projection. Topographic world map, projected to Wagner IV Projection. Population Density 1994, projected to Wagner IV Projection. Airline traffic world map, projected to Wagner IV Projection. Decorative world map, projected to Wagner IV Projection.